Jayonce was spotted out last night at La Marina in Manhattan (one of my FAVE places)! 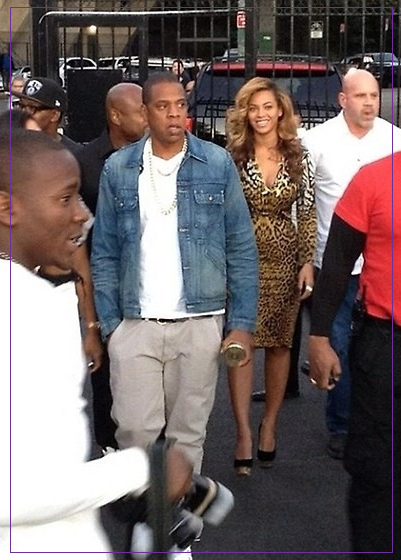 Bey looked so great as always rocking a gorgeous Cavalli fitted dress with some classic Charlotte Olympia pumps. The two dined with close friends while enjoying the scenery. 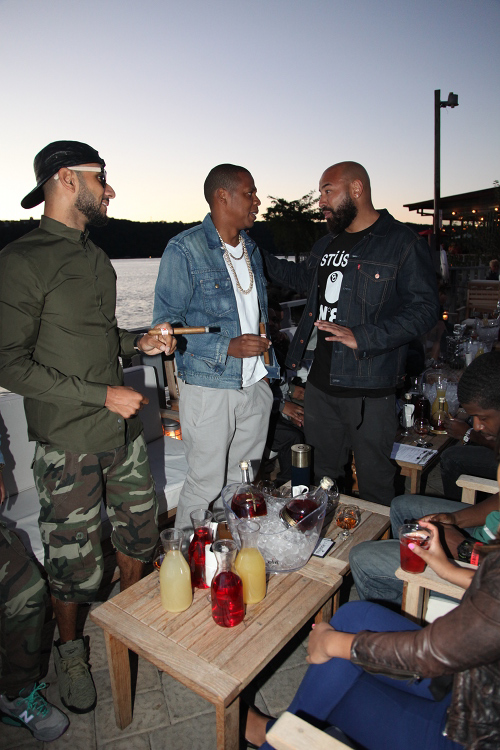 People were all over twitter and IG when they spotted Bey and Jay.. who of course kept it casual. I just love when they step out together and she's all glam, but he's in sneaks & jeans. 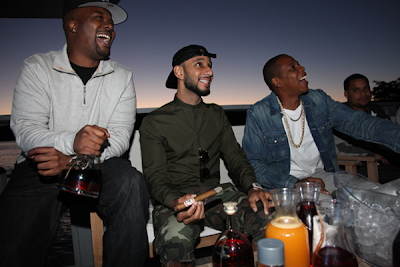 See photos of Jay with best friend Memph Bleek, and Swizz Beats.